If you are a Benz lover and likes your whip in small body styles, the Mercedes AMG CLA 35 might just be right for you! Check out its photo gallery now! 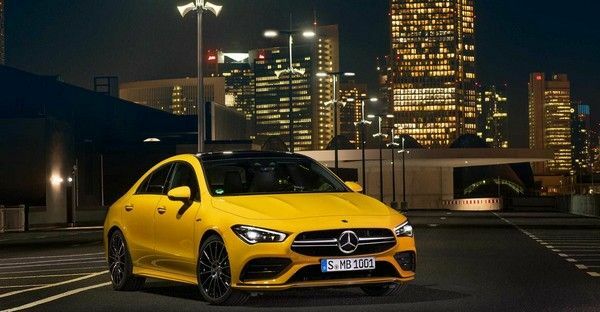 Mercedes AMG has rolled out another small performance saloon called the Mercedes AMG CLA 35.This is coming on the heels of the new Mercedes A35 sports sedan that was debuted barely two weeks ago. 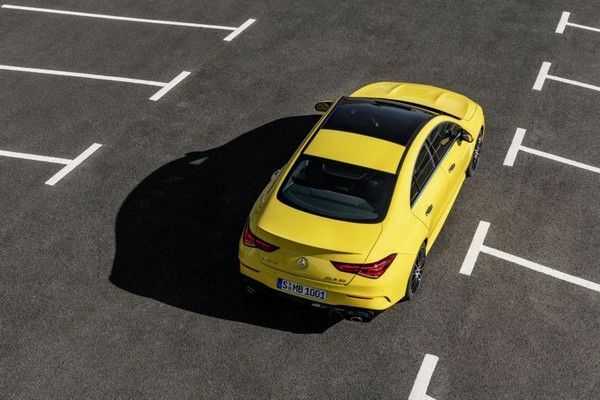 Mechanically, the CLA 35 is similar to its formal sister. It is powered by a 2.0-litr turbo-charged four-cylinder engine. 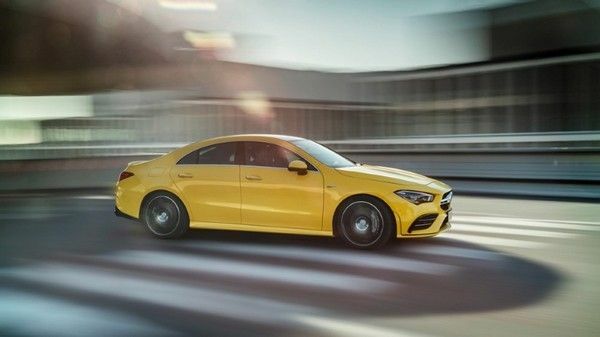 It puts out 302 horsepower (225 kw/306 PS) and the torque is 400 Nm/ 295 lb.-ft.
Naijauto.com gathered that this model uses a 7-speed dual clutch transmission that transmits power to all the four wheels, through Mercedes-AMG 4matic all-wheel drive system. With this developed system, the model is empowered to run 0-62 miles per hour in 4.9 seconds with top speed limited to 155 miles per hour (250 km/h). The sport car stretches way beyond the engine chamber. The CLA 35 received an AM line front bumper and also chrome accents. Car enthusiast and buyers of this new sporty car will also be getting a sportier exhaust, new diffuser and small rear spoiler. Not forgetting the 18- /19- inch alloy wheels that is aerodynamically optimized. Sharing a similar interior with the Mercedes CLA coupe, however, the upholstery features microfiber seats laced with red contrast stitching and black MB-Tex. 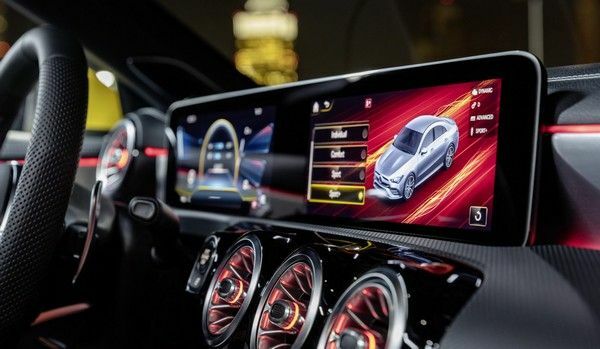 The CLA 35 is a high-end model and comes with a 10.25- inch screen for infotainment system having Mercedes-AMG displays. Other features added are piano black accent together with flat bottom steering wheel and a galvanized paddle shifter. Don't say you're not impressed with this cabin! I know you're lying! Look at this infotainment system, that's exactly AMG! Talking about its performance theme, this sporty sedan came with an aluminum shear panel that's fitted under the engine. It boosts the torsional stiffness at the car's front. 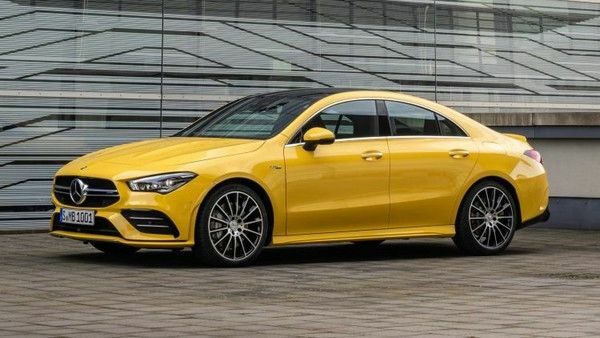 Also, the model is equipped with ride control suspension from AMG, with aluminum parts, AMG-specific front-steering knuckle. This model is coming with a high performance rated braking system and a unique power steering system as well. The debut of the Mercedes-AMG CLA 35 will come up this month, at the New York Auto Show. Sales for the US market will begin late this year. And for European customers, orders will commence April 29th, while deliveries will kick off in August. >>> Catch up on the latest car news update here on our news section.